The last victims of the war against the environment in Palestine were 450 olive trees destroyed last week by Israeli army bulldozers. 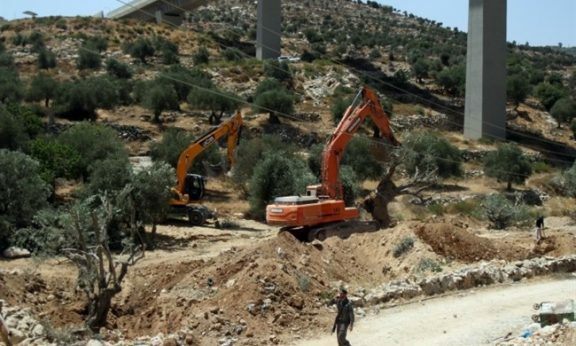 The destruction of Palestinian-owned trees took place in the villages of Bardala, in the Jordan Valley, and in Yatta, in the south of the West Bank. Also, dozens were destroyed by illegal Jewish settlers. It is a myth that only Zionist Israel has "made the desert bloom." On the contrary, since it was founded on the ruins of more than five hundred Palestinian villages and towns that destroyed and canceled from the map, Israel did the exact opposite . 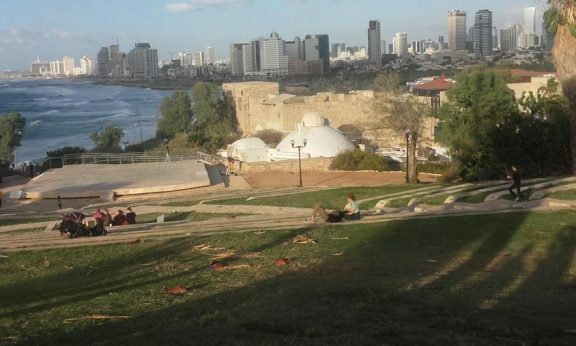 In the lapse of a few decades, the land inhabited by Muslim, Christian and Jewish Palestinians for thousands of years has been disfigured beyond imagination. "Palestine contains a large potential for colonization that Arabs do not need or can exploit," wrote one of Israel's founding fathers and first head of government, David Ben Gurion to his son Amos in 1937. However, Zionist Israel has done more than simply "exploit" that "potential for colonization": it has also subjected historic Palestine to an incessant and cruel campaign of destruction that continues today. It is likely that it will continue until Zionism prevails, as a racist, hegemonic and exploitative ideology. Since its beginnings, in the middle and end of the nineteenth century, political Zionism has deceived its followers with the description of historical Palestine. To encourage Jewish migration to Palestine and to provide a simulacrum of ethical justification for Jewish colonization, Zionism has built myths that remain a central theme. According to the early Zionists, for example, Palestine was a "land without people for a people without land". It was also said that it was an arid desert, waiting for the Jewish settlers from Europe and other parts with the urgent mission of "making it flourish". However, what the Zionists did to Palestine instead is incompatible with their theoretical discourse, as racist, colonialist and exclusivist, as it has always been. The land of Palestine, about 16,000 km 2 from the river Jordan to the east to the Mediterranean Sea, became the object of a cruel experiment, begun in 1948 with the ethnic cleansing of the Palestinian people and the destruction of its villages, its land and of its crops. This exploitation of the earth and its people has grown with intense fervor in successive generations. Illegal Jewish settlements in occupied East Jerusalem and the occupied West Bank were built on confiscated Palestinian agricultural and pasture land. 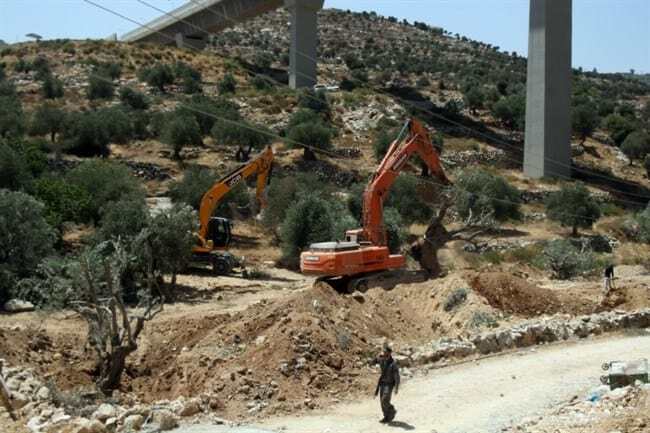 The immediate impact of these actions has been the uprooting of millions of olive trees and fruit trees, and the consequent soil erosion in many parts of occupied Palestine. 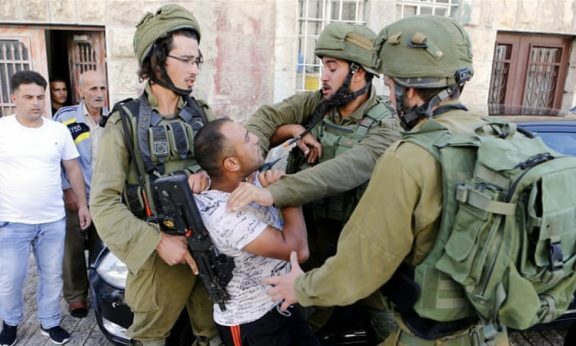 Armed settlers assault Palestinian farmers across the West Bank, often with the protection of the Israeli army. One of their main missions is to uproot Palestinian trees and burn crops, in an attempt to force the Palestinians to leave, as a first step before stealing the land and building other illegal settlements.